With very best wishes for a Happy Christmas and a good New Year to all our friends. 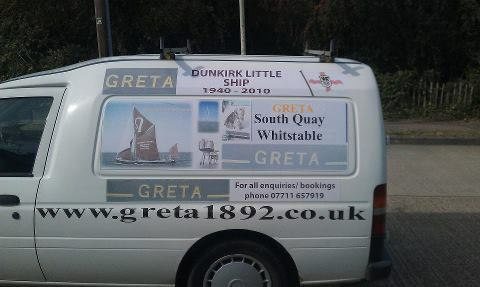 Yesterday we posted photos of Dave and Julie Brooks, taken by Annie Meadows, when they went for a sail with Team Kitty. 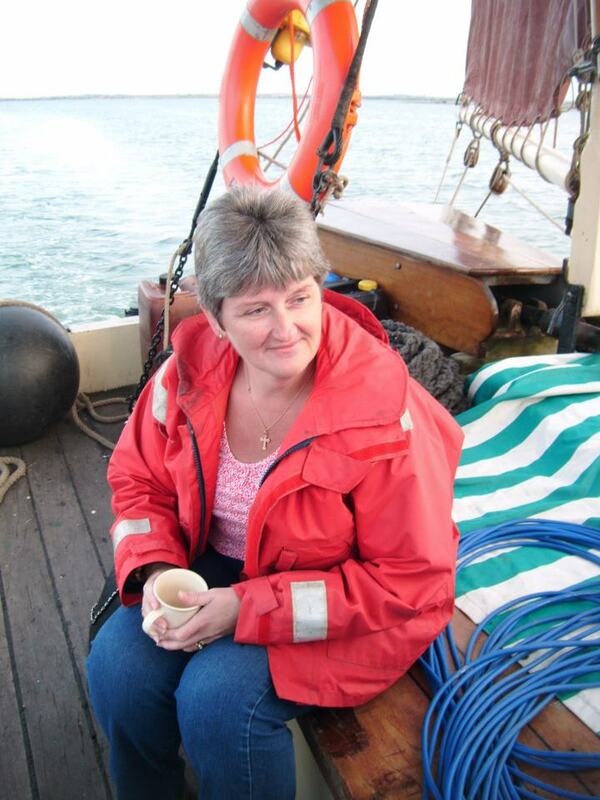 Today Dave gets his own back and posts this lovely picture of Annie which he took when they were sailing on Kitty. It’s Ipswich Maritime Festival this weekend, so on Saturday and Sunday, 18 and 19 August, there will be a huge programme of activities at Ipswich Waterfront, from 10.00am to 6.00pm each day. Here’s the link to the programme for the day. There’s lots for children to do, and to interest adults. 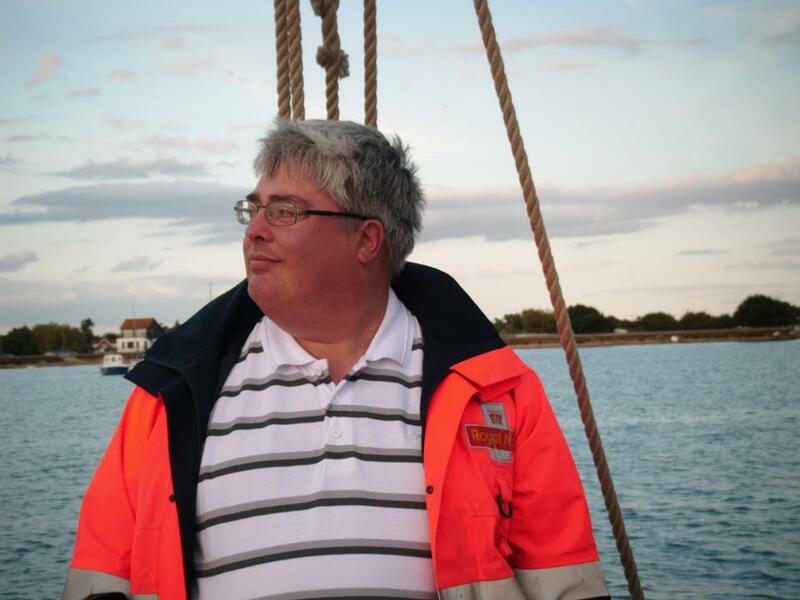 The programme lists some of the vessels which will be present, and mentions Lady of Avenel, MT Kent, Thalatta, Centaur, and “Thames Barges”. Er, what are Thalatta and Centaur then? 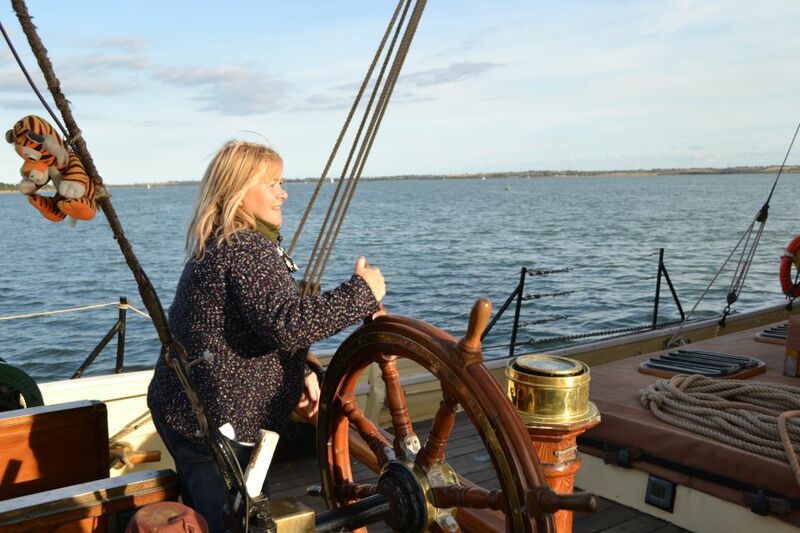 There will be Cream Tea Cruises on Victor at 2.00pm on Saturday and Sunday. 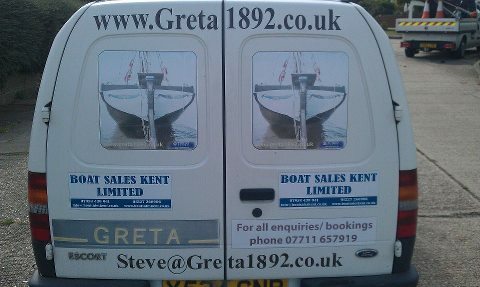 We also happen to know that Kitty will be there, at Custom House Quay, and will be offering three hour barge trips. 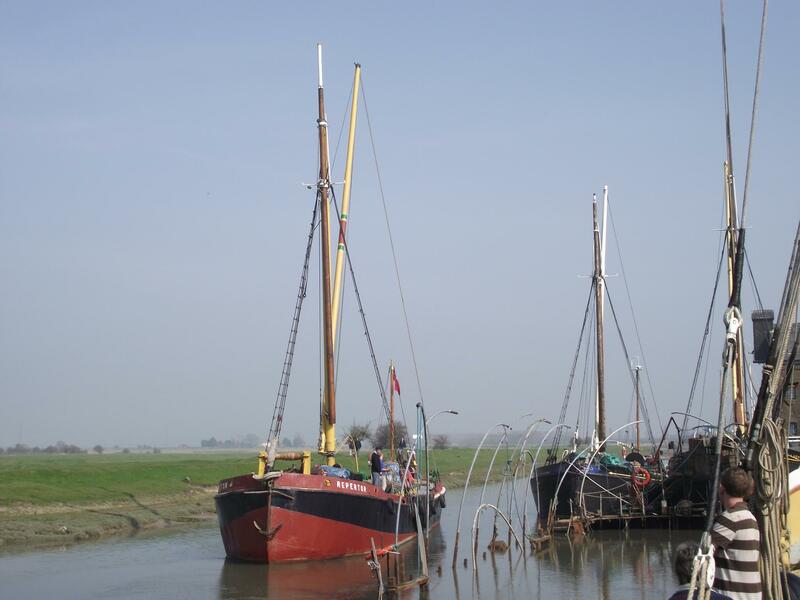 Meanwhile, further south, Edith May is having Open Days this weekend, and will be open in Halstow Dock on Saturday and Sunday, from 11.00am to 4.00pm. Cream teas and cake are promised in the Edith May Tearoom. 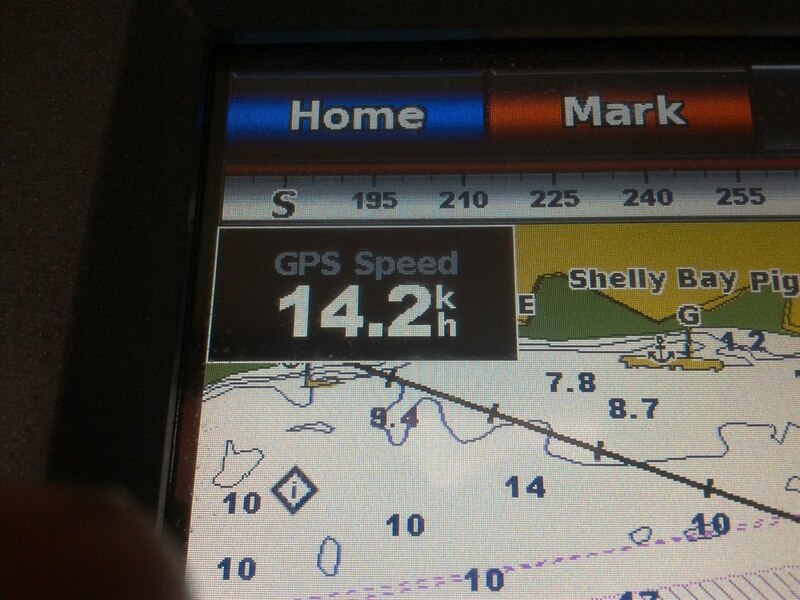 Sunshine and high temperatures are forecast so it should be a good weekend on the water. Busy weekend in the barge world. Cambria left dry dock at Faversham yesterday, and here’s Repertor already on the way to take her place in the dry dock. 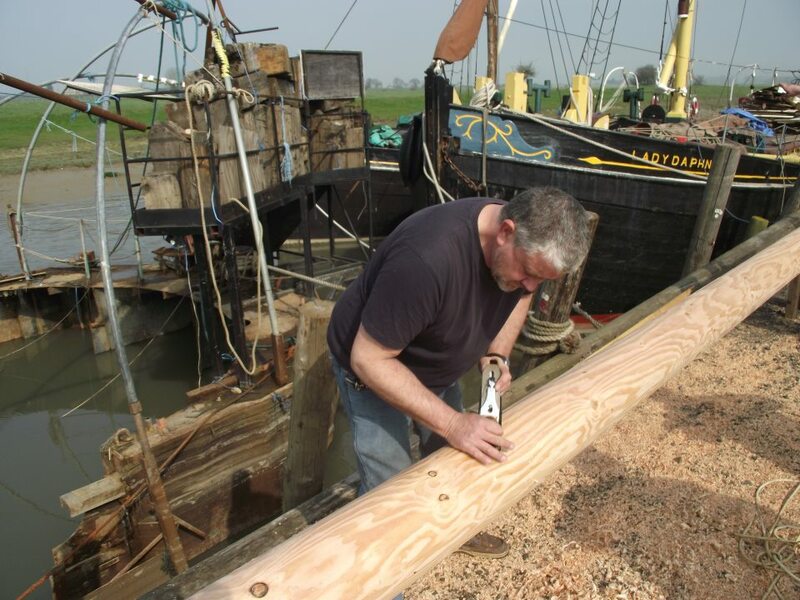 Meanwhile today more work is done on Cambria, and here’s Tim Goldsack working on her new bowsprit.